Uncertainty has followed a third Tron installment since Disney canned the film back in 2015. After Tron: Legacy updated the science fiction franchise established by the original 1982 Tron, another sequel was reportedly in the works—with Leto tabbed as the lead—before lingering in development hell and subsequently getting the ol' Hollywood ax. However, the Blade Runner 2049 actor now claims that Tron 3 back in the (very early) works. “It's something that we're in discussions about and very much looking forward to bringing to reality,” Leto recently told Collider about a future Tron movie. 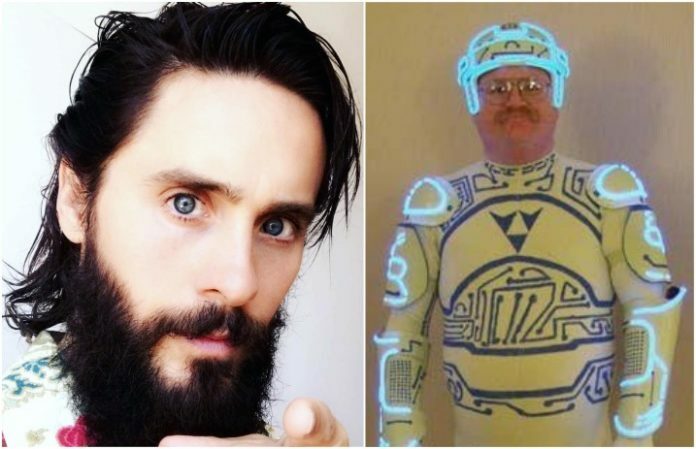 If this flick still doesn't work out, maybe Jared Leto can portray Tron Guy in a meta-Tron movie about sci-fi movie memes?! Earlier this month, Leto (incredulously?) claimed to have never seen Suicide Squad, despite his starring role in the DC Comics film.